ᐃᓄᒃᑎᑐᑦ ᐅᖃᓕᒫᕈᓐᓇᖅᑕ ᐅᓇ ᐅᕙᓂ ᓄᓇᕗᑦ ᑮᓇᐅᔭᓕᐅᕐᓂᒃᑯᑦ ᖁᕝᕙᖅᐹᓪᓕᓗᐊᕐᓂᖓᓄᑦ ᒥᑭᑦᑐᑦᓂᒃ ᓄᓇᓕᖕᓂ ᐃᒃᓯᖕᓇᖅᑕᐅᕚ? Years of rapid economic growth in Nunavut have created a widening gap between those who have benefited from development and those who have been left behind. 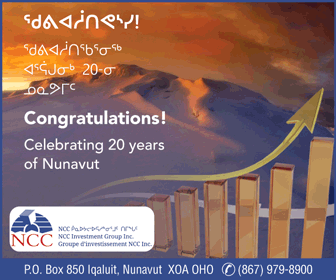 At the same time, since the end of the last recession in 2009, Nunavut has had one of the fastest growing economies in Canada. In 2017 alone, Nunavut’s economy increased by 9.8 per cent, while the provinces and territories together grew by just three per cent. By many measures, Nunavut’s economy has outperformed the most optimistic predictions that were made at the time of the territory’s creation. Economic output has more than doubled since division from the Northwest Territories, reaching $2.23 billion in 2017. Nunavut’s gross domestic product per capita, a common measure of a society’s relative wealth, is $75,788, well above the Canadian average and more than that of Germany or Saudi Arabia. 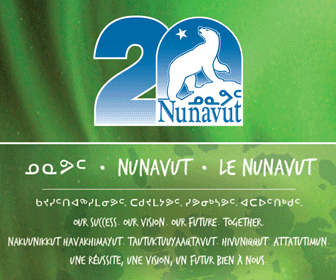 That wealth, though, is not finding its way into the wallets of the poorest Nunavummiut. In 2017 the top 10 per cent of earners in Nunavut racked up 34 per cent of total income. The bottom 10 per cent, meanwhile, reported incomes of less than $2,435 per person. John Main, the MLA for Arviat–Whale Cove, sees this reality on the ground in his constituency. It wasn’t supposed to work out this way. Hopes were high in the 1990s, as plans for the new territory were put into place. Inuit were about to become the largest private landowners on the planet, after having painstakingly chosen lands with the greatest mineral potential under the land claim. Resource development, many believed, would lead to a flood of new jobs that would bring unemployment rates crashing down. The predictions were partly right. 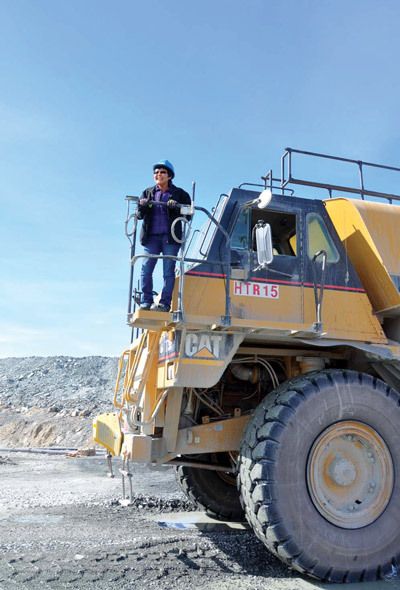 Riding the wave of higher commodity prices at the end of the last recession, Nunavut’s mining industry has led the territory’s economic expansion. The Meadowbank mine, on its own, makes up 15 per cent of Nunavut’s economy, according to industry figures. Meadowbank started production in 2010. As the mine went looking for local workers, it recruited over half of them from one community, Baker Lake, 70 km away. Today, as Meadowbank nears the end of its life, some are questioning whether the mine has lived up to the hype. 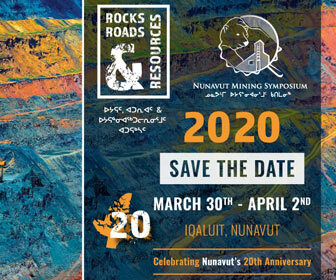 While the median income among Inuit in the community rose by more than half after the mine went into operation, reaching $25,280 in 2015, unemployment has also increased to over 30 per cent. Before the mine opened, Baker Lake’s hamlet council had hoped for a target of 50 per cent Inuit employment at Meadowbank. 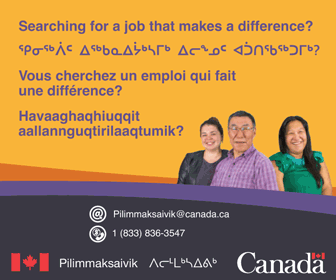 Since 2014, though, only 220 Inuit have been employed, making up 29 per cent of the overall workforce. The number of people in Baker relying on social assistance, meanwhile, has held steady. 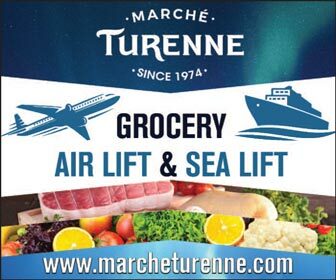 A similar dynamic has been playing out in Pond Inlet, where the neighbouring Mary River project has been in operation since 2014. 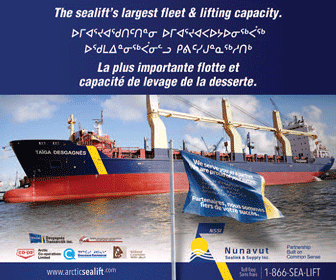 During the last shipping season, Baffinland shipped a record 5.1 million tonnes of iron ore from Nunavut to Europe and Asia, injecting millions of dollars into the territory’s economy. 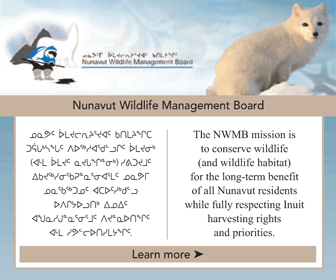 The company reported paying $819 million to Inuit-owned businesses and joint ventures since the project started and $33.3 million in payroll to its Inuit employees. In 2017, though, those salaries were going to just 219 Inuit employees who make up 14 percent of the workforce. 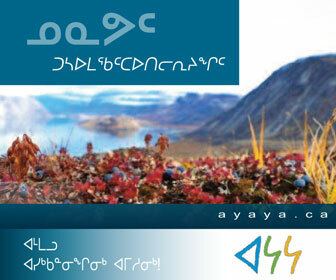 The lacklustre numbers rankled for the hamlet council and the Mittimatalik Hunters and Trappers’ Association. 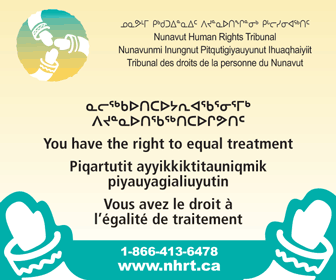 In comments to the Nunavut Planning Commission, they have called Inuit employment rates at Mary River “dismal,” and argue that the impacts of the mine far outweigh the benefits the community has received. If the resource industry has been unable to break communities out of their economic doldrums, government has not fared better. 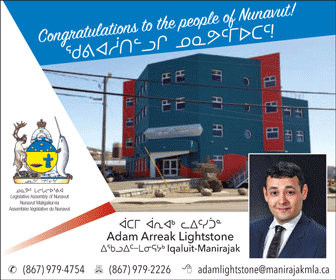 The federal, territorial and municipal governments together contribute close to 50 per cent of Nunavut’s economy and more than half of Inuit who are employed in Nunavut work in the public service. This has been relatively unchanged since the time of division in 1999. 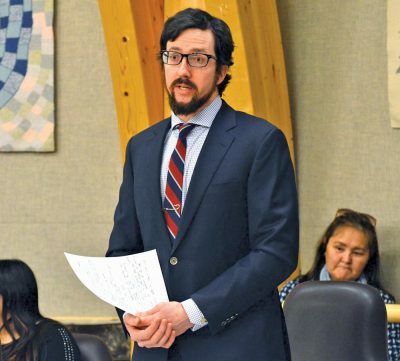 Nunavut’s decentralized model of government was touted before division as a way to distribute jobs and economic benefits to communities throughout the territory. Two decades later, though, incomes in the 10 decentralized communities remain below the Nunavut average. In Arviat, the median income among Inuit in 2016 was $20,896, in Kugluktuk it was $17,173 and in Cape Dorset, $17,008. Since 2016, Igloolik, another decentralized community, has had more people receiving social assistance than Iqaluit, a community five times its size. Three out of every four Iglulingmiut accessed social assistance at some point that year versus just 14 per cent in Iqaluit. 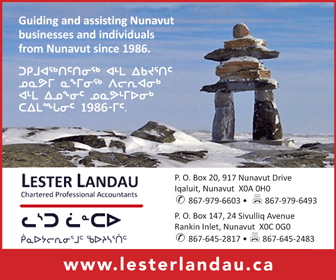 The authors of the last official review of decentralization in 2011 found that while the policy was contributing to the goal of Inuit employment, the shortage of Inuit with the skills needed for employment was preventing the government from meeting its decentralization goals. 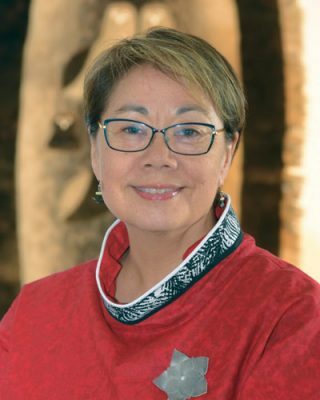 Eva Aariak, Nunavut’s former premier, says that the optimism of the 1990s, when Nunavut was being planned, was overshadowed by the realities of running a new territory. Despite the numbers, John Main says that decentralization has had a positive impact on his home community of Arviat. “Decentralization has been a massive success in terms of the jobs and opportunities that it brought,” he said. He worries more about the smaller communities, like Whale Cove, that were left out of the decentralization process. “In some ways it’s created another layer of ‘haves’ and ‘have-nots,’” he said. 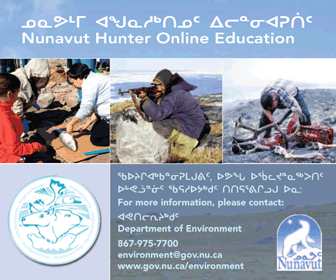 Aariak and Main agree that education and training are essential to enabling more Nunavummiut to take advantage of the opportunities that are being created. That means bringing more training to smaller communities, Main said. “The people who need training the most are those who are the least mobile,” he said. “We have to stop pouring money into the regional centres while the have-not communities are left out in the cold,” he said. That message may be starting to get through. 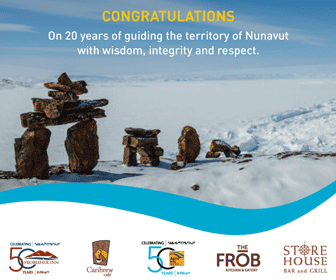 Under the terms of the new Inuit Impact and Benefit Agreement, signed in October with the Qikiqtani Inuit Association, Baffinland will provide $10 million towards a new training centre in Pond Inlet. 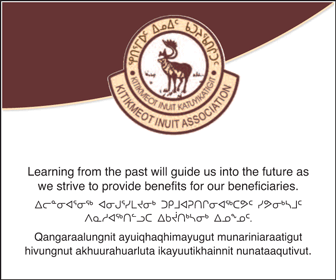 The IIBA also requires Baffinland to deliver work-readiness training in Igloolik, Hall Beach, Arctic Bay and Clyde River, as well as Pond Inlet. 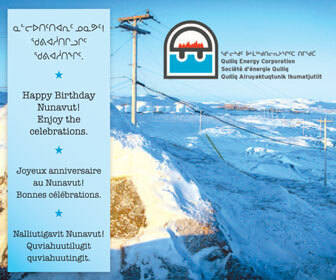 Whether these new commitments will enable the mine to meet its 50 per cent Inuit employment target remains to be seen. Under the IIBA, the target will be revisited 10 years from now. 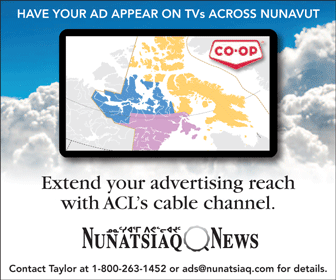 What seems clear is that, with a booming population, translating Nunavut’s economic success into employment and income for more of its people is set to be a defining issue of the territory’s next two decades. Chris Douglas is a freelance writer who has worked with Inuit, Dene and government organizations in Nunavut and the Northwest Territories since 1996. It’s hard to take seriously an opinion piece that makes the mistake of using “unemployment” as a useful indicator, at least in Nunavut. Unemployment conveniently ignores people who have given up looking for work. So, ironically, that quote about unemployment going up over 30% in Baker Lake because of the mine is not an entirely bad thing. It means more people are actually looking for work. Eva talking about “daring changes” versus “keep the system going” is interesting. The fact is there just aren’t enough Nunavut politicians that are “daring” enough to actually try doing something along those lines. You’d need a majority of Cabinet and the Assembly to go along with it. Oh, and you’d only get one chance. 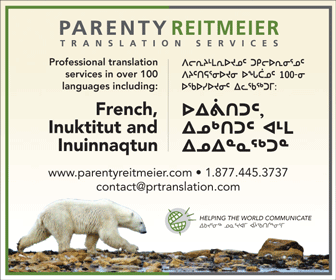 The only solution I see is peer pressure from Inuit to Inuit on a serious approach to education, training and employment. I don’t know why that isn’t already happening enough to make a difference. Maybe there’s no societal consensus on adapting to the modern economy? Maybe people are just too fixated on their co-dependent relationship with Qallunaat?